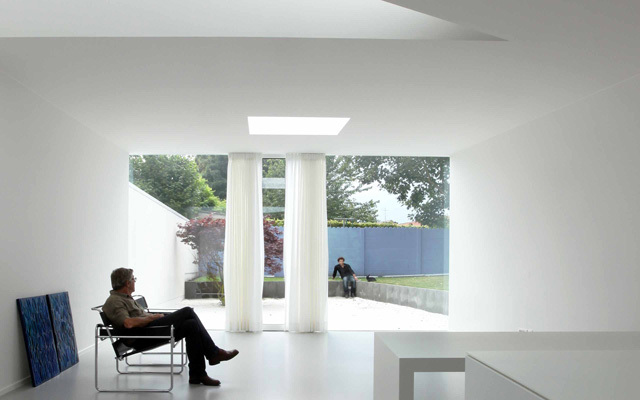 The Narrow House is a memorable home, designed by Egyptian architect, based in Brussels Bassam El-Okeily. 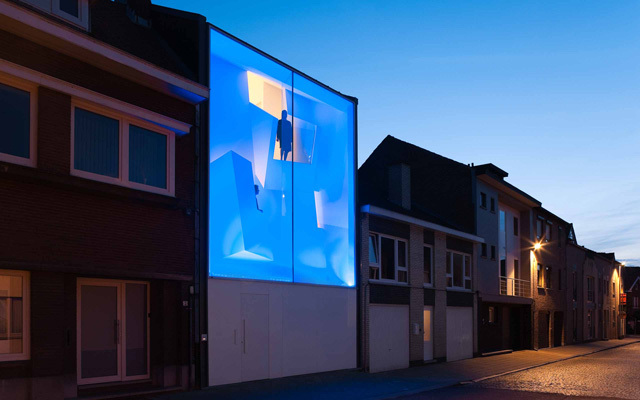 The small house is located in Bilzen, a small city in Belgium. 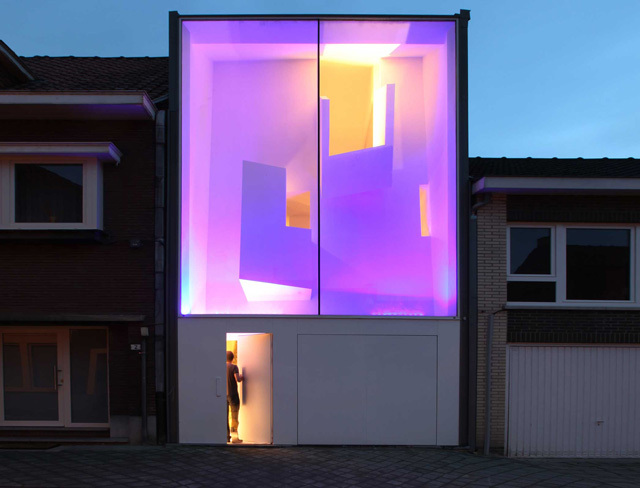 The stunning glass facade and amazing lights in blue and purple turn this house, only 5.30 meters wide, into an urban attraction. 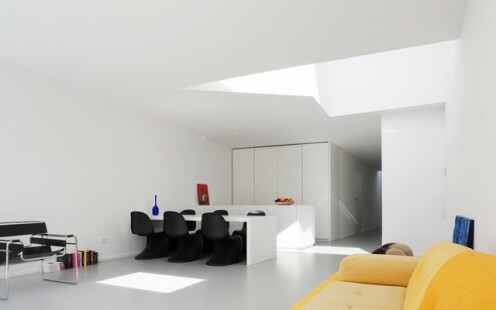 The interior is very clean with white walls and floors. 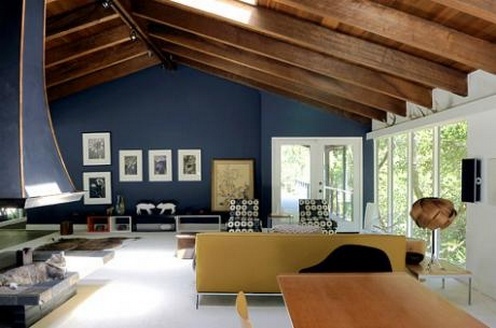 Only the furniture are accents with bright colors. “The house has a closed ground floor exterior (entrance & garage) topped by a total transparency in glass. The display window reveals two balconies in skewed positions projection from a white facade. The lower balcony contains a reading corner for a library belonging to the gentleman of the house, while providing him with a sheltered view of the street. 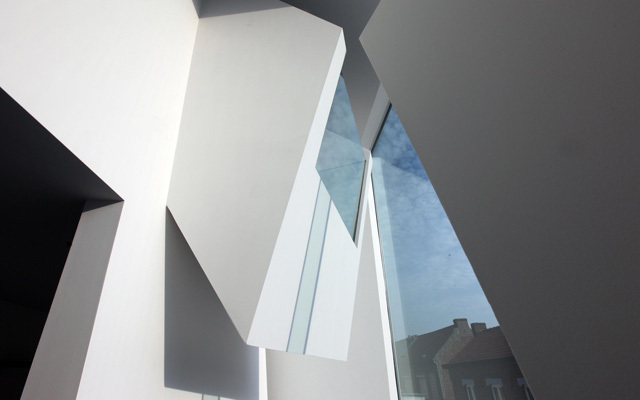 The upper balcony accommodates an artist’s studio, the private domain of his wife. Blue light turn the facade into a spectacular light sculpture after dark. 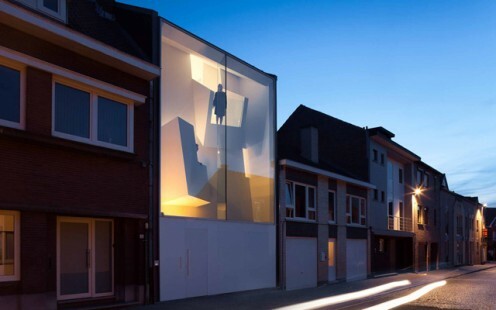 It’s a narrow house in a narrow street, which offers the tale of a man, a woman and their passion.